The latest update to Apple iOS comes with a pack of fixes to bugs found in the previous version. Beyond fixes and patches, however, iOS 8.3 offers updates that will make you want to adopt and reject it. IOS 8.3 comes specifically for iPhone 5s and includes support for a two-step authentication for Gmail accounts. The most notable feature of the updated operating system, if quite late, is that users now do not have to directly connect their iPhone to the USB port of cars. Also, a larger space bar has been added to address a long-time complaint among users who found the small space key in the iPhone 5s uncomfortable and a source of unnecessary typing error. Now, it is also easier and quicker to download apps because the iOS 8.3 update no longer requires users to sign in to their Apple account. The previous version of iOS was plagued with bugs to its Bluetooth and Wi-fi functions such as the loss of Bluetooth connection when someone calls you, failing Bluetooth speakers and incidental disconnection from some networks. Now with the release iOS 8.3, these bugs have been fixed. For users who might not have the abundance of patience to wait longer times downloading updates, the iOS 8.3 update may be an option you could want to have. On an average, users have reported spending not more than 30 minutes to download and install the update. Long-time iPhone users had also been complaining in the past about the slow response of apps when you launch or run them. That’s a recurring problem with iOS, until the iOS 8.3 arrived. In particular, Apple rolled out fixes for the Control Center and Messages, the performances of which had been problematic in the past. 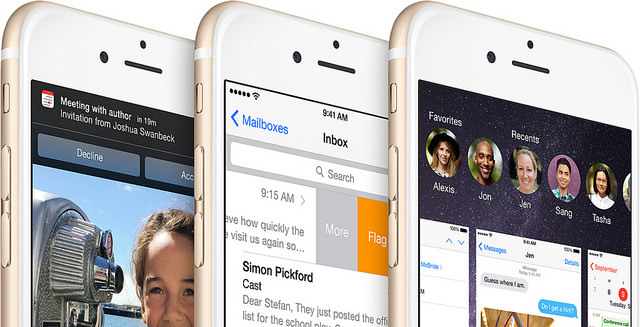 It is unclear yet how iOS 8.3 will affect the battery life of your iPhone. But based on initial reviews by users, it can be observed that iOS 8.3 spares you from the hassle of having to always bring your charger with you. That’s in stark contrast to the previous version, with which users had to carry charging cables almost all the time. So if you’re planning now to download and install the iOS 8.3 for iPhone 5s, it will depend on certain factors. For example, it is not advisable to install the updates if your iPhone has been jailbroken. The iOS 8.3 will disable all your third-party apps and tools. Unless you are willing to sacrifice those things, the iOS update is good for you. Also iPhone 5s, iPhone 6, iPhone 6 Plus and iPad Air 2 users complaining that iOS 8.3 is creating problems with the Touch ID, it’s not working in App Store. You need to give password for every purchase. Also, most apps are crashing on iPad Air, which is also a problematic thing. So As per my viewpoint, don’t just run to update the OS version. Let the bugs solved and then enjoy the experience.